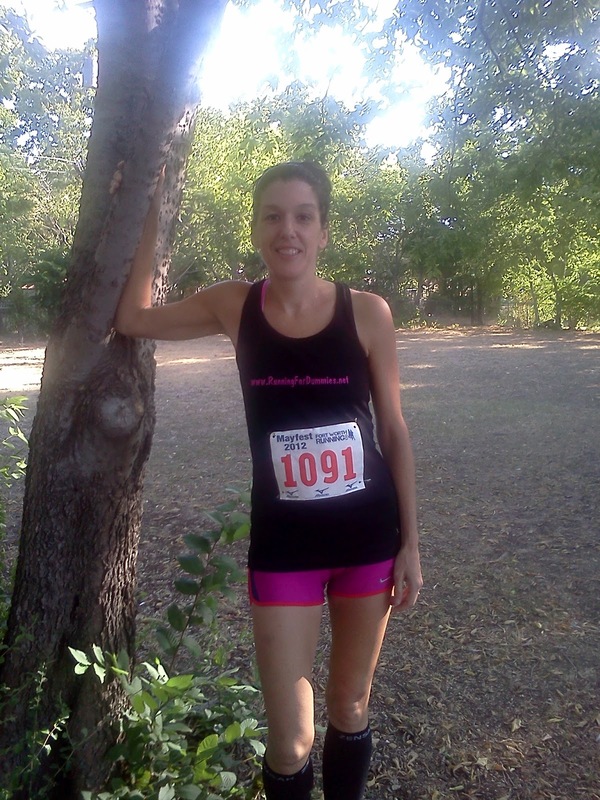 I am very thankful that the Fort Worth Running Company hosts these race series. 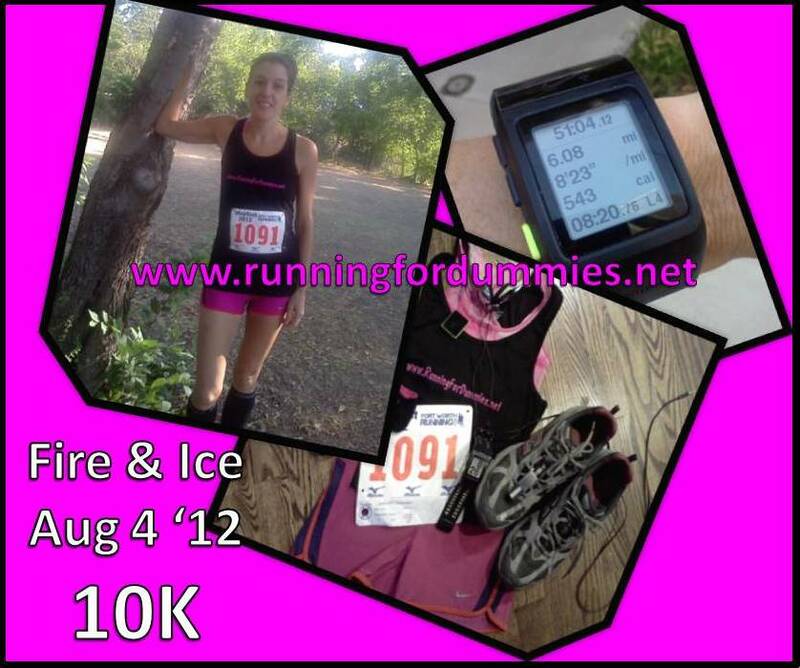 August-November is the Fire & Ice Series and December-February is the Winter Race Series. They are inexpensive no-frills races which fit perfectly into my race schedule and budget. No frills racing, no medals, no t-shirts, just a bib and a beautiful race course through Trinity Park. They have official timers, photographers, water stations and plenty of competition. You can't beat it for $10 a pop especially when I have committed to myself to run at least one race a month in 2012. Races can get expensive! 1. I am supporting a locally owned Fort Worth business that gives back so much to the community. I would rather give my money to these good people than to some giant corporate sporting goods store. 2. I have been on a no-spend lunch budget for the last three weeks. That means no lunches out during the work week. I skipped at least three $10 lunches out over the last three weeks. At least now I have shorts, if I had bought lunches, I would have nothing to show for it. 3. Most races cost between $30-$50 to run, they give you a "free" shirt and you get whatever style they decide to give you. This race only cost $10. 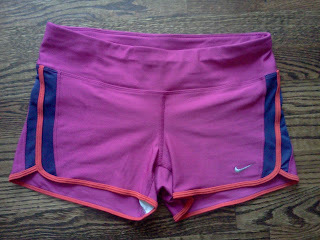 These shorts were kind of like my "free" shirt had I paid more for the race, only better, I actually like these shorts. OK, done rationalizing. I know you don't care where I spend my money. Someone let my husband know. Onto the race. The night before any race, I lay out my clothes and pull together all my running accessories. 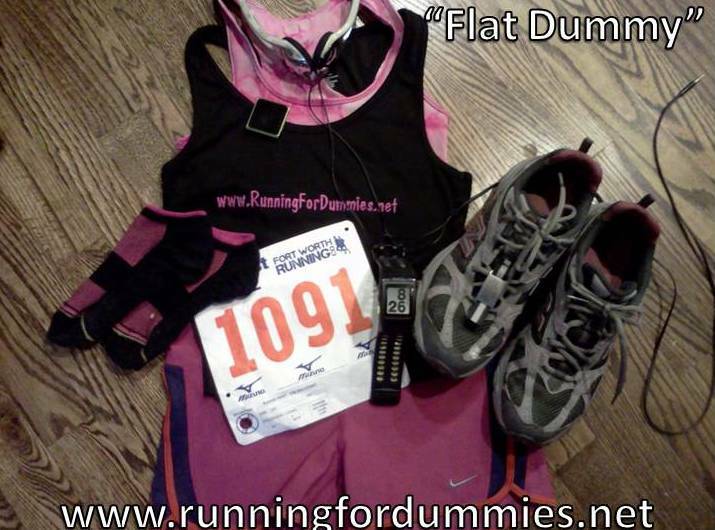 I call it my "Flat Dummy," borrowed or inspired by, Moms Run This Town who do "Flat Mamas" on their Facebook page. I get up at 5:30 on Saturday to prepare for the 7am start time. This by the way, is about an hour and half earlier than I got up any day this week for work. I drank my coffee and my two bananas and headed the race site. I stood at the starting line and waiting for go-time. First rule of Running For Dummies? Remember to load your GPS satellites BEFORE the race starts! D'uh! I don't know my official time yet, because it took a minute or two for the satellites to load while I was already running. My GPS watch is missing a couple minutes of data. Nevertheless, I was off and was faster than my training pace, as is the norm for me at the start of races. 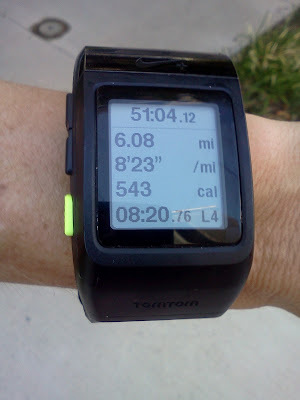 I tried to slow down a bit, but I really did want to push my pace this time and try to PR this race. Since this was a shorter distance, I figured I could sustain a slightly faster pace than my usual long race pace. I followed closely behind a guy with huge calf muscles, who unbeknownst to him, became my unofficial pacer. I was determined to stay with this fast guy. I was working hard and definitely pushing my pace a little outside of my comfort zone. I was using my music and my new pacer friend to stay upbeat. The first three miles were a breeze, then mile four and five started to get harder, but I sustained. It was during the last mile, that I started to lose my pacer and I slowed. I started to develop a side stitch, which never progressed into anything debilitating, but was annoying and effecting my breathing, so I had to slow down a bit. Despite my issues at the end, I still maintained a respectable overall pace and even achieved a new personal record. missing .12 miles of data because this dummy forgot to load the satellites before the race started. The most amazing part of it to me is that I ran this same race a year ago and it took me 1:06 to complete the same 10K. It is very motivating to see how far I have come in the course of a year. I was nearly 15 minutes faster than last year, but in the interest of full disclosure, last year it was raining during the race. I wrote a blog about how I believe I came to be faster, if you are interested in checking that out (here). 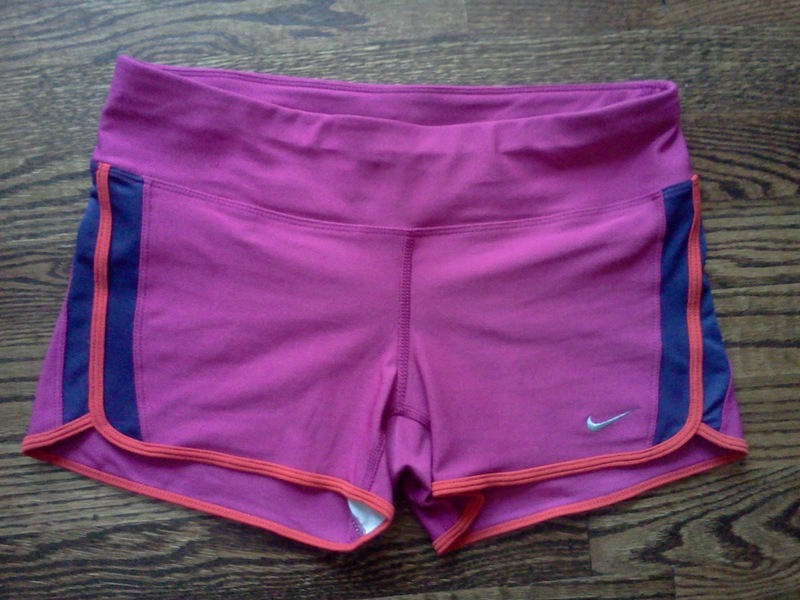 Finished in my new shorts! Update: I just found out that I placed FIRST in my age division! Hubby said, "Congratulations, you're the fastest old person I know." Ha Ha! Love seeing progress like that. Keep up the great work! My next race is possibly a half in sept.
And yes races are expensive! AWESOME JOB!!! thats a huge accomplishment and a big improvement in just one year of time!! you are very inspiring to me!! i want to be exactly like that when i am 38. you're giving me great strides to leap for!!! SPA love! CONGRATS! 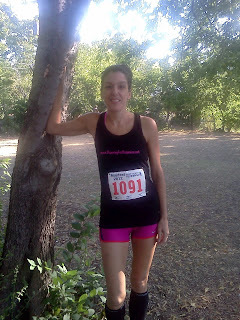 I ran a race down there in March and visited the Ft Worth running company, loved the store! You've improved so much! Wow congrats! That is an awesome time!